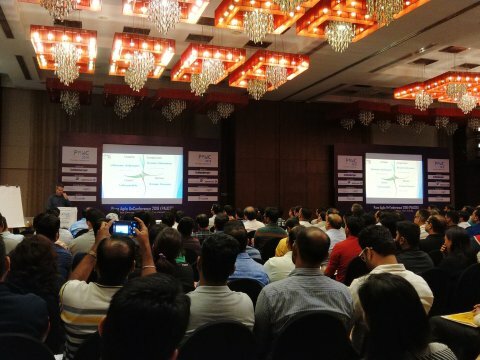 The Pune Agile UnConference 2018 #PAUC18 happened 2018-08-19, and it was great. Here are some thoughts around it. 2 Was this an Open Space/UnConference? 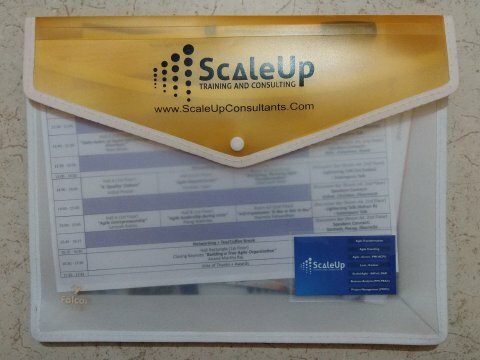 ScaleUp consultants organized the #PAUC18 [PAUC]. And they organized it extremely well. There must have been more than 200 people in the audience. I expected a few more than 100, so, after all, it was about twice as big than I expected. The organizers did a good job at marketing the conference. The conference was at the O Hotel in Koregaon Park, Pune. The facilities of the O Hotel were put to perfect use. The big conference hall was used for the opening and closing keynote. For the three tracks, the big hall was split into two. The third track was run in a big meeting room. Another meeting room was used for the Discussion Bar. The Discussion Bar allowed the audience to interact with the speakers after their talks. This allowed for a conference to stick to its schedule without impacting the audience ability to question the speakers. Besides, Lightning Talks happened in the Discussion Bar in parallel to each of the main tracks. This gave the conference its touch of Open Space/UnConference. Also, there was a selfie-booth, and the speakers were given hand-made chocolates and awards. Everybody reached on time, which was achieved with a WhatsApp group that was joined by every participant. The organizers spent two weeks laying out the schedule of the talks in a way that the value for the audience was maximized. And it's clear that the organizers are masters of Agile. The WhatsApp group ran quizzes and the organizers gave awards to the winners. Mostly no, and that's okay. Whoever has experienced the difference between India and "Western" countries in self-direction understands that running a true Open Space/UnConference in India is a challenge. Therefore, in order to ensure success, the organizers had to ensure that there are sufficient talks and speakers scheduled. Still, calling it "UnConference" was appropriate, given the community involvement, ticket price, unusually high interaction between audience and speakers, and the opportunity to give lightning talks throughout the entire day. The conference, how it was run, and the interactions with the audience and the other speakers have inspired me a lot. Just today I have started at least 6 blog articles, most of which circulate around questions that the audience had about my talk. The title of my talk was Extreme Programming 2018 — Agile Beyond Scrum . You can find the slides on our Pune Agile UnConference 2018 event page. I am really looking forward to #PAUC19. And I've promised Vineet Patni from ScaleUp Consultants that Nelkinda will support next year's conference, if he likes. Nelkinda can support the organizer team with organization, and provide equipment. A key take away from the conference is that events like this are urgently needed. Scrum is the predominant Agile method, but it has flaws and limitations. Events like this are important to break the dominance of Scrum by informing the audience of the wider spectrum of Agile.